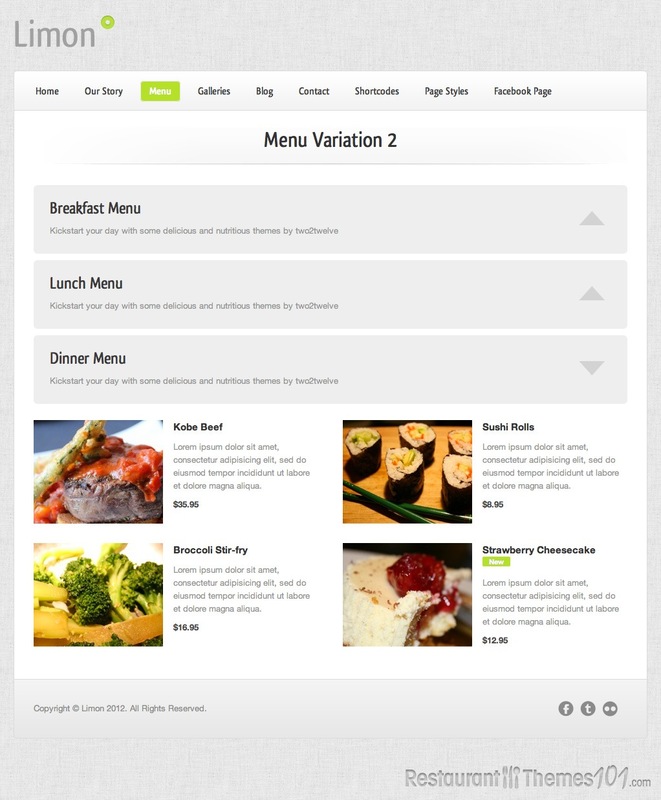 Limon is a WordPress restaurant theme made by Two2Twelve and featured on ThemeForest. The theme has a bunch of features that give the whole website a great appeal and your visitors are going to be impressed by your website because it will look great and it will be very easy for them to find their way around it. You don’t have to be a professional to run this theme, there are 50 custom shortcodes included. You will be able to enter options and setup things just as if you were a coding expert, even if you aren’t one. 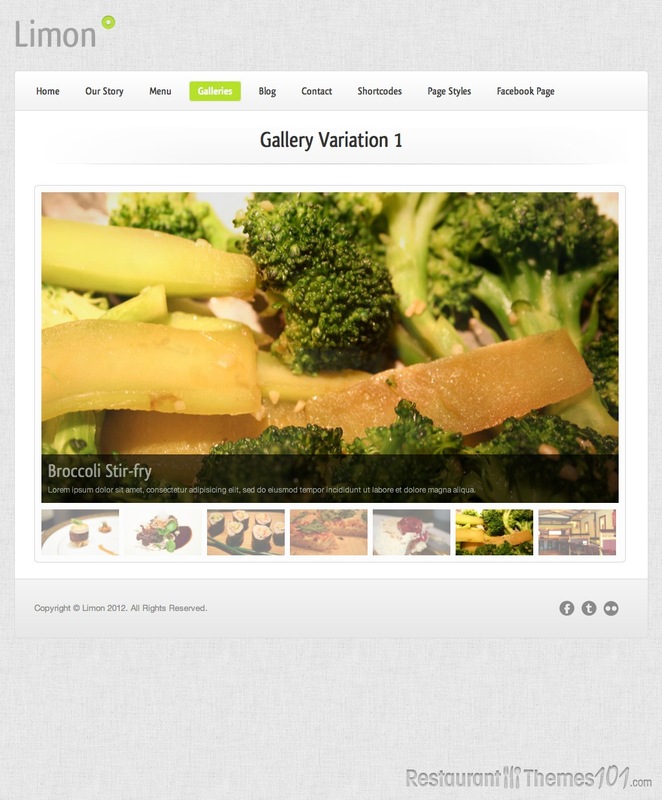 While this theme is very suitable for a professional designer, it can also be great for an amateur because it installs and runs very quickly, and managing the whole website is very easy. The admin area is very simple and it will allow you to make changes on your website very easily even if you have absolutely no experience in running websites. The backend control panel is as simple as possible and you will be able to make your customizations by simply selecting the options you want to customize, without having to go through a long, confusing administration process. 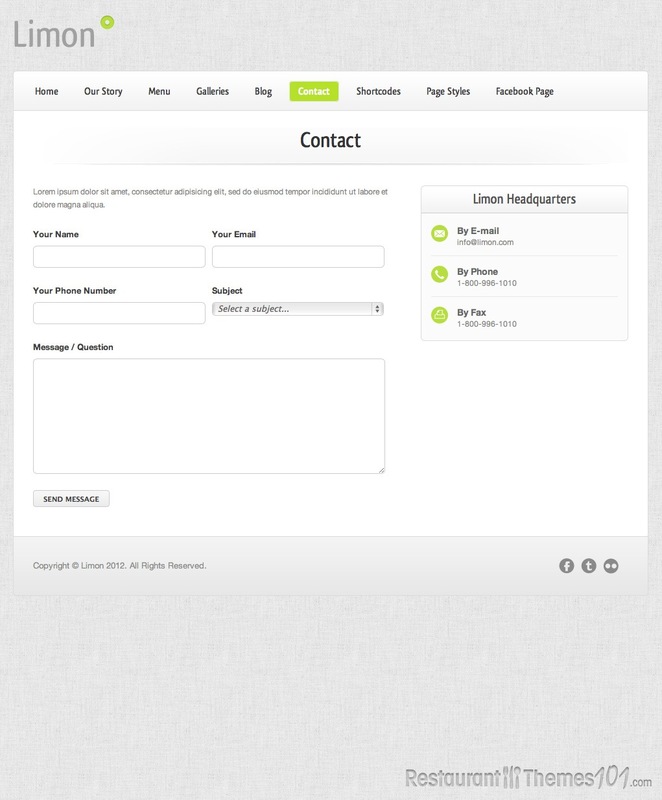 This theme features several different widgets that are meant to give the website a unique, interesting look and feel. Social network integration is great and there is also a Twitter widget included through which you can keep your visitors updated to the latest Twitter activity of your restaurant. 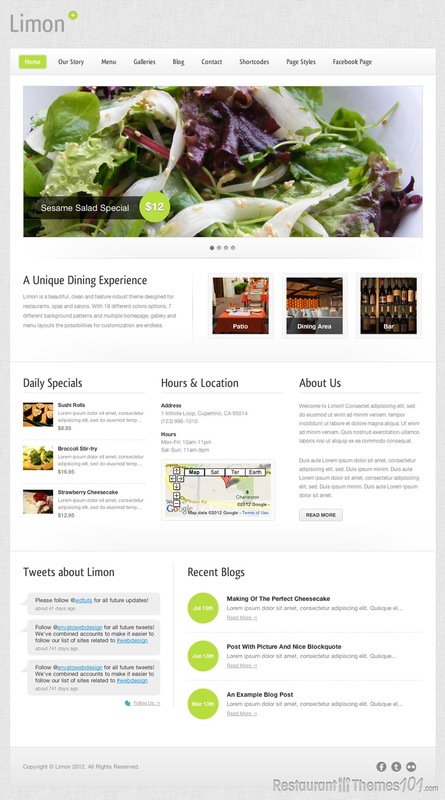 Limon comes also with a custom Facebook page design for your website. Besides this there is the possibility of showing reviews from your customers on your website and a widget that rotates them so everyone can see how great your place is and how much people love it. Nothing speaks louder than the opinion of a happy customer. Limon is very well documented, and it features 18 different color scheme options, 7 different background patterns, a large custom options panel, unlimited sidebars, and many more. It looks great and it’s extremely easy to use. 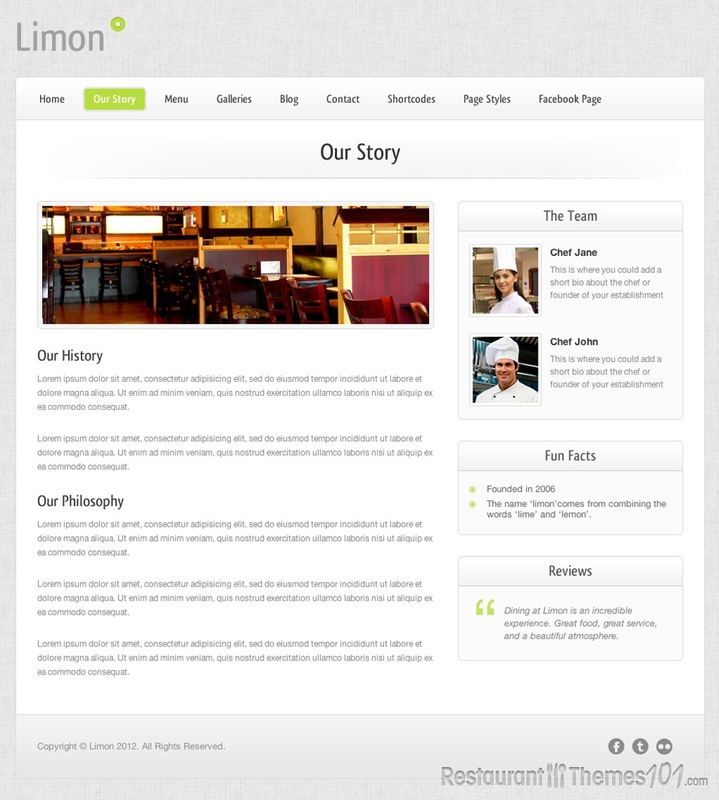 The Limon theme is also available as a HTML template.